Citizenship ceremonies are always an enjoyable duty as Lord-Lieutenant. But on 24th January I attended Dr Montfort University’s Graduation Ceremony, so my Deputy Lieutenant, Kathy Robinson represented me instead. 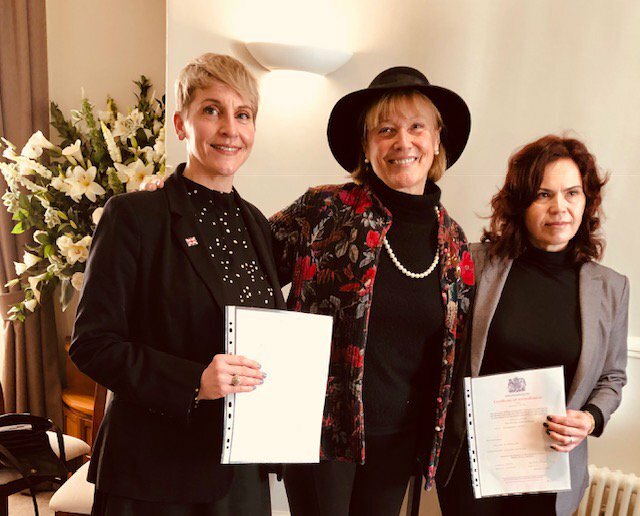 Congratulations to Yelena STEFANSKAYA from Pavlodar, Kazakhstan & Jennifer Lynn HOLLERING from Ohio, USA, pictured below, who are now British.